My kids have been absolutely hilarious this week. Usually they are a pretty mellow group, but lately they have been absolutely cracking me up. We have been talking a lot about Valentines. As in what do they mean, who can we make them for, how can we make sure they are special, etc. The writing center has been turned into a Valentine card making factory. This little friend was DYING to make a card for his cat. Hilarious. 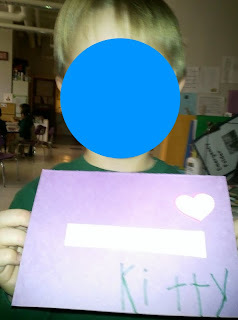 After I helped him sound out "Kitty," which is supposedly the cat's real name, I asked him why he decided to make a card for his cat instead of someone else in his family. His response? "Because my cat really loves getting mail!" Student: 'Cause it got beautiful pictures. 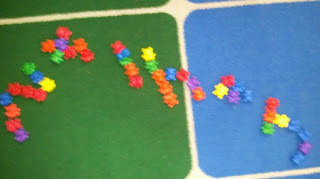 The last adorable thing my kids did this week was spontaneously integrate literacy into math centers. This little guy started it by writing his name with our little transportation math manipulatives. I made a big fuss about how creative and fantastic this was, and it caught on like wildfire. Before I knew it, the rug was covered with kids using all different types of manipulatives. 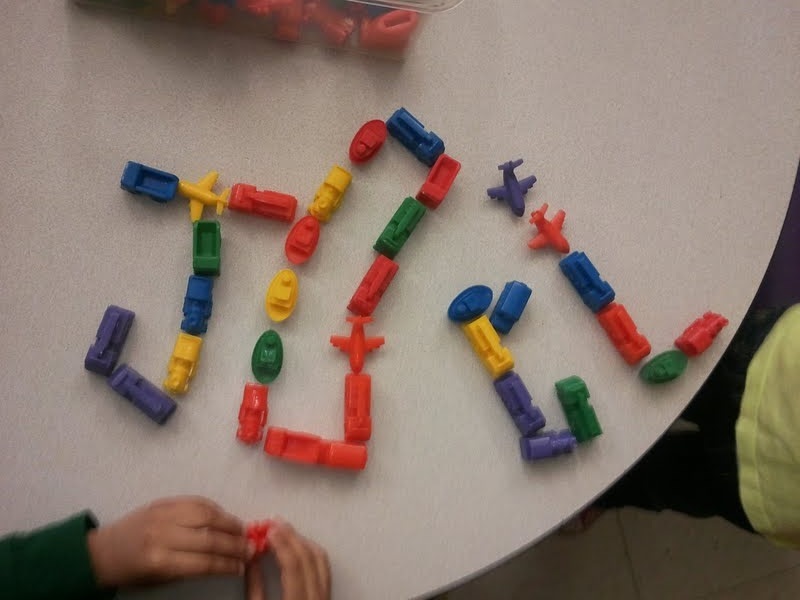 They also had some great conversations about which manipulatives would be good to write your name with, and which ones wouldn't work. 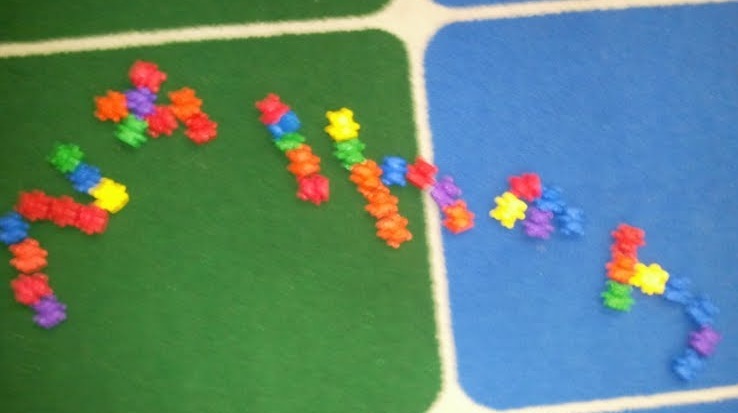 Blocks are too big, they decided, but links and counting bears would be great! Nathan, written with counting bears. I just LOVE when the kids come up with something that is more creative than anything I could have come up with. I will definitely be doing this center when we learn names next September.